Nature Posts: These Ants Have Been "Sold"
These Ants Have Been "Sold"
I know it looks like the ant in this photo is battling an octopus, but this is an ant that "got sold" into dispersing and planting Dutchman's Breeches seeds by what I like to call, "ant bait" - those fleshy appendages, or elaiosomes, that give the seeds that octopus look. 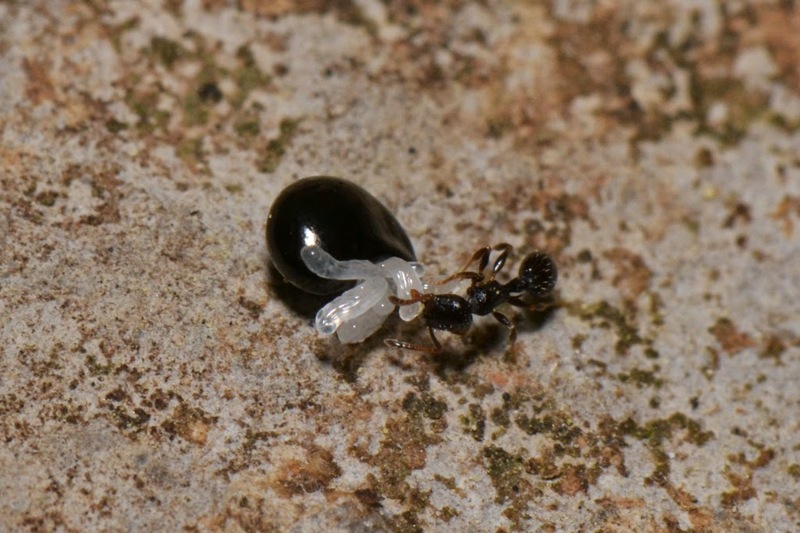 I photographed this ant dragging a Dutchman's Breeches seed across a limestone rock that was on a rich, forested hillside which seemed almost covered with those early spring flowers. 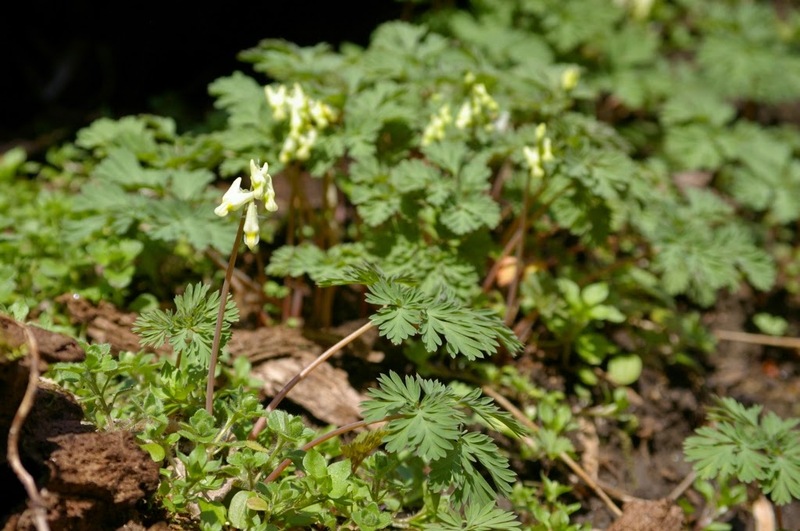 I stood there and imagined that thousands of ants were being baited into doing the work of dispersing and planting the Dutchman's Breeches seeds in exchange for those fleshy little appendages on the seeds. Here is a photo of the Dutchman's Breeches' flowers. 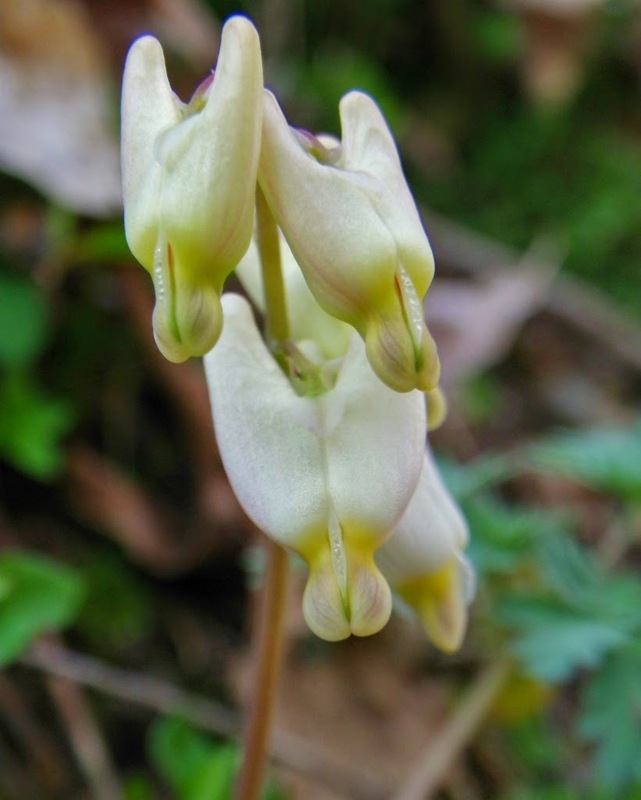 This is a photo of some flowering Dutchman's Breeches plants. 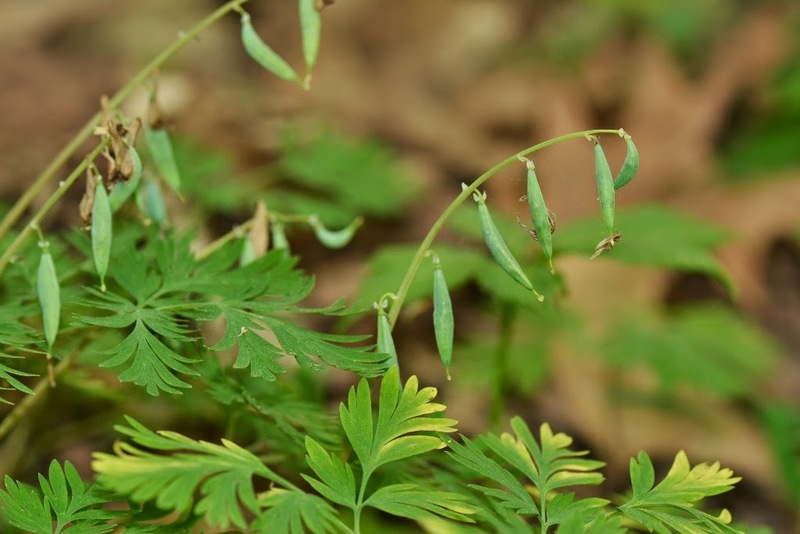 This photo shows Dutchman's Breeches seedpods. I found ripened seedpods which had split open to expose the seeds and, of course, the "ant bait". 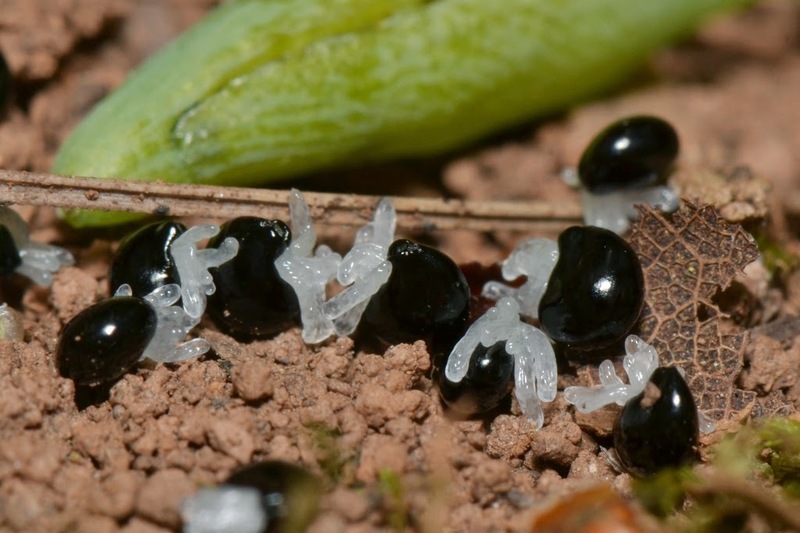 Those fleshy appendages give the little black seeds an creepy-bug look, but they sure work very well at attracting ants and causing the ants to drag the seeds home for food for their colony. 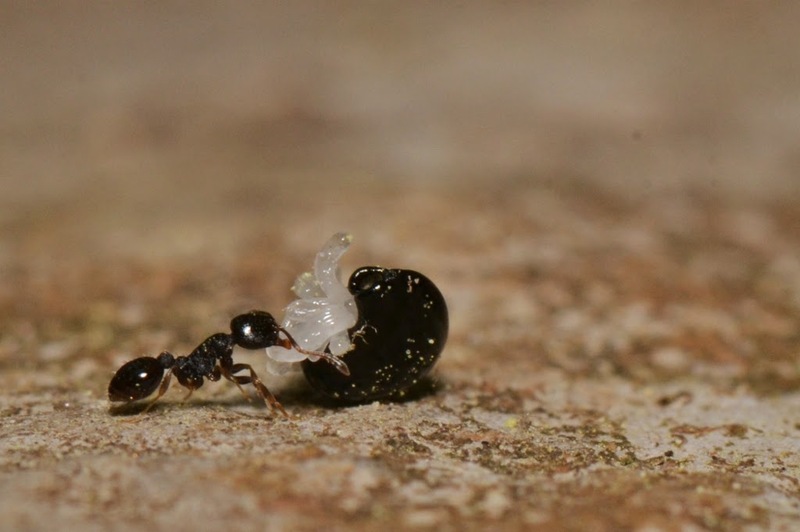 I wonder if the ants realize they've been "sold" for pittance after they worked so hard to drag those seeds home, and later, after they ate those little elaiosomes, discover that only part of their haul is edible and are left with those big seeds to discard.